The co-founder of Microsoft has filed a patent lawsuit against some of the tech industry's highest fliers. Named as defendants in the litigation are AOL, Apple, eBay, Facebook, Google, Netflix, Yahoo and YouTube. Also named in the suit were Office Depot, OfficeMax and Staples. 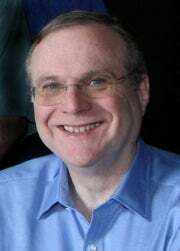 According to a complaint filed in federal district court in Seattle, all those firms are violating four patents owned by Paul Allen, who has participated in a host of endeavors since leaving Microsoft including investment in numerous high-tech companies and ownership of several professional sports teams. Conspicuously missing from the list of defendants are Microsoft, in which Allen still has a substantial investment, and Amazon.com, which is based in the billionaire's hometown of Seattle. When asked about how the defendants in the case were chosen, a spokesman for Allen refused to comment on the process to the Wall Street Journal. The patents Allen is seeking to enforce are based on technology developed by a now defunct research lab and technology incubator, Interval Research Corp., which Allen invested about $100 million prior to the bursting of the Internet bubble. Some common browser functions are covered by the patents. One patent, for example, is for making suggestions to consumers based on what they're looking at on their displays or, in the case of social networks, based on what others on the network are viewing. The others govern letting the reader of a news story discover material related to subjects in the story and the display of information or multimedia outside a viewer's main focus on the screen. In the complaint, Allen wants the court to declare that the defendants have infringed on his patents, award him an undeclared amount in damages and permanently stop the defendants from using the technology in the patents.